When it comes to sports shoes, put your best foot forward. 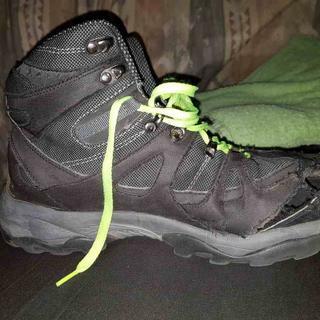 You can go wherever the trail takes you in this pair of hiking boots. Adjust the laces to give you the right mid fit and support. Be ready for adventure at the drop of a hat with this pair of hiking shoes. So you can unleash your best shot. Enjoy the style and support that comes with this closed toe. Take your style game to the next level with hi tops. I gave them 6 months of utter crap until they died. Am buying a new pair tomorrow, and will be transferring my safety green shoelaces to the new ones.